Sitting in a move theater with her dad, Meri checks her phone for a good time to go to the ladies' room. She leaves during a battle scene and meets her soon-to-be new best friend, Fiona, in the restroom. 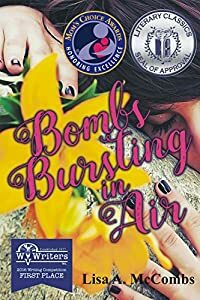 To their mutual horror, a bomb goes off in the theater. 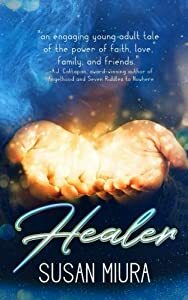 Meri awakes in the hospital to find out her world is changed forever. Coping with PTSD is real to veterans and to those of all ages who experience shocking horror and loss. Meri sees the changes to her family and her life and with the help of an unlikely friend, her faith, and her family, is able to move forward to a new future. Anna Polis was named after the city which her father loved most. 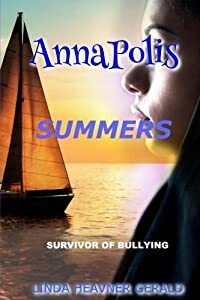 Annapolis thrilled the family each summer as they glided over the gentle waves into various cities in the Chesapeake. Then, her platinum chain broke from the gilded life which she loved. Mean, ugly bullies threatened her peaceful life. Her parents couldn't understand. Only a few close friends could share her pain. Still, the young girl faced her foes with strength and determination although she cringed each time they approached. Another foe arose during her time at Duke University. This one threatened her very life. If you understand the pain of bullying, you will "get" it. When you grow up on the violent streets of a dying world, the first thing you learn is to mind your own business. So when eighteen-year-old Jacob Walker stumbles across three federal agents torturing an old man by a church, Jake can’t explain why he bothers to rescue the old guy. As he lay dying, the old man makes a strange sign with his hand, and after mumbling something in an ancient language, he slides a ring on Jake’s finger. What Jake doesn’t know is that he is now the last hope for a group of believers, or Churchers, living outside the dying city. Forces are already massing to destroy the strangely naïve Churchers, and although Jake knows nothing of bishops, gods or churches, any chance that this remnant can survive will depend on The Bishop of 12TH Avenue. 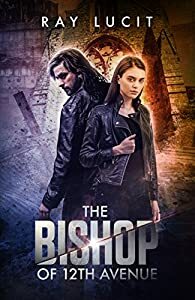 In a post-apocalyptic story of survival, The Bishop of 12TH Avenue tells of an epic battle between good and evil, and a young leader who is still learning the difference.